Vietnam's state oil firm PetroVietnam said on Friday that tension in the South China Sea will continue to weigh on its offshore operations this year. The company, formally known as Vietnam Oil and Gas Group targets to produce 12.37 million metric tonnes of crude oil this year, down 11.45 percent from last year's output, it said in a statement. Vietnam and China have been embroiled in maritime disputes in parts of the busy waterway, where China claims 90 percent of the potentially energy-rich maritime territory, which Vietnam calls the East Sea. "The complicated developments in the East Sea have heavily impacted the exploration and development activities of the company," PetroVietnam said. Reserves at most of the company's operational fields are shrinking quickly, by 15-30 percent a year at many of the fields, the company said, adding that it failed last year to increase its recoverable reserves as targeted. PetroVietnam said it aims to raise its recoverable reserves by 10-15 million tonnes this year, compared with 12 million tonnes last year. The ongoing trade war and the strong fluctuations of the global oil prices will also have adverse impacts on its operations this year, the company added. PetroVietnam said it will seek to invest in overseas oil and gas fields this year, while attracting large global oil companies to invest in its projects. 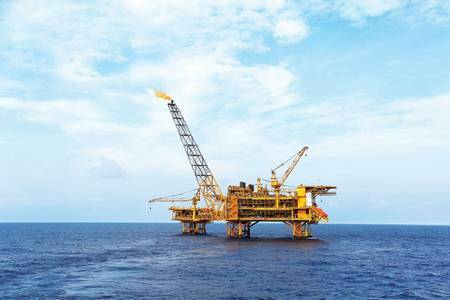 The company said it aims to start commercial production at two new offshore fields this year, including the Ca Tam field at Block 09-3/12 and the BK-20 field at Block 09-1. PetroVietnam said in April last year that tensions in the South China Sea would hurt its operations in a rare comment made weeks after sources said it had ordered Spanish energy firm Repsol to suspend a project off Vietnam's southeastern coast following pressure from China.